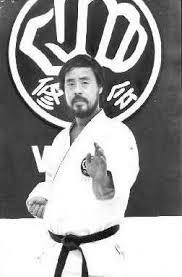 Kimura Shukokai International (KSI) is the official international body of Kimura Shukokai Karate and was formed in 1995 after the untimely death of Soke Shigeru Kimura, 10th Dan. Today, KSI is headed by Master Kimura’s four most senior students, Shihan Eddie Daniels 9th Dan from Great Britain, Shihan Bill Bressaw 9th Dan from the United States, Shihan Chris Thompson 9th Dan and Shihan Lionel Marinus 9th Dan, both from South Africa. The four Shihans, trained with Master Kimura for more than 25 years, and continue to teach and develop Master Kimura’s unique technique. From humble beginnings KSI has grown into a strong international organisation, powered by passionate karateka who seek to continuously learn about, better understand and improve their application of Soke Kimura’s dynamic technique. KSI is the official world governing body for Kimura Shukokai Karate and with schools in 22 countries across Europe, North America, Africa and Australasia, it is one of the biggest single style organisations globally.